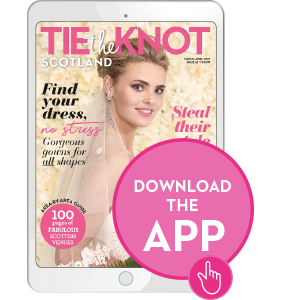 Peebles Media Group Ltd. (publisher of Tie the Knot Scotland) is committed to protecting and preserving the privacy of our customers and website visitors when they use our websites, order our products and services, or communicate electronically with us. We collect information about you when you register with us, place an order for our products or services and engage with our digital platforms, including visiting our websites. In order to process orders for products and services, which may include paid subscriptions and free copies of our publications, it may be necessary to collect personal information about you. This includes, but is not limited to, your name and address, telephone number, email address, information about your employment, and credit/debit card information. We use information that is automatically collected from website visits to analyse website performance. We also compile aggregate statistical data about our users and website activities, and may share this data with advertisers on our website to measure campaign performance. This does not include personal information. We would like to send you news and updates, and information about products and services that may be of interest to you. From time to time this may include sponsored content from other carefully selected companies. If you have consented to receive marketing, you may opt out at a later date. We may use your data, or allow carefully selected third parties to use your data (unless instructed otherwise), so that you can be provided with information about unrelated goods and services that we consider are likely to be of interest to you. They or we may contact you about these goods and services by any of the methods that you consented to at the time your information was collected. We will only contact you or allow third parties to contact you when you have provided consent and, only by those means you provided consent for. You have the right to stop us from contacting you for marketing purposes at any time, or sharing your information with third parties. If you no longer wish to receive marketing emails, you can unsubscribe at any time by clicking the ‘unsubscribe’ link on the email. You can also contact us using the details below. Personal data that is provided to us is stored on our secure servers or on secure servers of third-party services that we use for business processes. Details relating to any transactions entered into on our site will be encrypted to ensure its safety. Where we sell any or all of our business and/or our assets to a third-party. You have the right to request a copy of the information that we hold about you. If you would like a copy of some or all of your personal information, please contact us using the details below. We may make a small charge for this service depending on the nature of your request in line with current data protection legislation. We may also use the cookies to gather information about your general internet use to further assist us in developing of website. Where used, these cookies are downloaded to your computer automatically. This cookie file is stored on the hard drive of your computer. Cookies contain information that is transferred to your computer’s hard drive and then stored there and transferred to us where appropriate to help us to improve our website and the service that we provide to you. You may find links to third-party websites on our website. These websites should have their own privacy policies, which you should check. We do not accept any responsibility or liability for their policies whatsoever as we have no control over them. Email: please send your message to info@peeblesmedia.com with the subject line ‘Privacy’. Telephone: you can call us on 0141 567 6000 10am – 4pm Monday – Friday (lines may operate different hours on national and regional holidays). Post: you can write to us at Peebles Media Group, 110 Brook Street, Glasgow G40 3AP.